The Android tablet is dead. Long live the Android tablet. Riddle me this, dear reader: If you've got a device that looks like a tablet, acts like a tablet, and runs Android apps, what do you call it? What I'm actually describing, as you may guessed, is a convertible Chromebook. But for all practical purposes at this point, it essentially is an Android tablet. And all signs suggest it — not the traditional Android-based slate — is the future of the large-screened "Android" experience. There's an argument to be made, in fact, that you should never buy a traditional Android tablet again. And crazy as it may sound, that seems to be precisely what Google wants. I swear I'm not off my rocker. (Okay, maybe just a little. I mean, if we're being completely honest, I did come up with that parsnip thing a minute ago.) The truth is that there's a lot going on here, and as someone interested in technology — or even just someone who occasionally enjoys caressing it — it's well worth your while to consider. Let's start with the practical side of things. Take a minute and ponder this: What does a traditional Android tablet do that a convertible Chromebook doesn't? No matter how long you mull, it's tough to come up with much. Nowadays, a Chromebook runs the same apps from the same Google Play Store. It has an increasingly similar user interface, with a new touch-friendly and Android-reminiscent app launcher rolling out as we speak. It's likely to have an Android-like way of getting around the system before long, too, not to mention native integration of the Google Assistant (which is launching with the newly announced Google Pixelbook and then presumably spreading to other devices from there). But on top of all of that, a Chromebook offers meaningful advantages a traditional Android tablet simply can't match. It operates within the fast-booting, inherently secure, and free from manufacturer- or carrier-meddling Chrome OS environment. The operating system is updated every two to three weeks, directly by Google, for a minimum of five years. That's a sharp contrast to the software realities we see on Android — and if you think the updates on Android phones are bad, let me tell you: The situation with Android tablets is worse. It's the best of both worlds, as I've put it before — a whole new kind of platform-defying, all-purpose productivity and entertainment machine. And while it won't immediately lead to the outright extinction of traditional Android tablets, it certainly makes them seem like a watered-down and obsolete version of the same basic experience. Make no mistake about it: The Chromebook's nearly-fleshed-out role as the new Android tablet is no sudden shift. Google has been quietly converging its two platforms for years — in what now seems like some level of preparation for the transition we're seeing today. The question everyone always asks is whether Google will somehow "merge" Android and Chrome OS into a single product at some point down the line — but that question may be missing the mark. 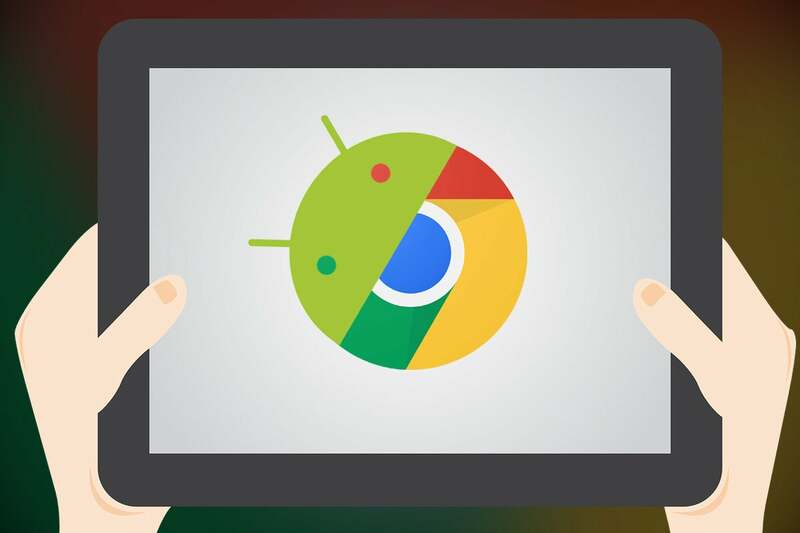 While anything's certainly possible, it appears the current strategy is to make the two platforms more consistent and connected and to use Android's strengths to bolster Chrome OS's capabilities. With a little help from its robot-themed friend, Chrome OS can evolve from a strictly web-centric desktop OS into an all-purpose computing solution that delivers the best of both worlds. In more recent years, Google's own treatment of the two platforms speaks volumes. The company hasn't put much emphasis on Android in a tablet form since 2015's Pixel C release — and that product felt half-hearted at best, with reports suggesting it was never actually even meant to run Android. Prior to that, Google had annual (and sometimes even twice-annual) tablet launches and a steady push for tablet development. Since the Pixel C's launch, the notion of the Android tablet has felt like a barely remembered afterthought. Instead, Google's resources have focused more and more on refining Chrome OS's touch experience while also optimizing the performance of Android apps on Chromebook devices. Evidence suggests a Chrome OS emulator is now in the works for the Android Software Development Kit, which could make it meaningfully easier for Android app developers to confirm their programs work properly on the platform. And then, of course, there's the Pixelbook — which, combined with the ongoing radio silence on the traditional tablet front, is a pretty plain indicator of Google's intentions. And you know what? Moving the Android tablet experience onto the Chromebook actually makes perfect sense. Tablet sales in general have mostly been slumping for a while now, and Android tablets have always struggled to gain any meaningful traction in the market. Chromebook sales, meanwhile, are skyrocketing — with a renewed push in 2017 for the enterprise — which gives Google a built-in and ever-expanding audience for its reframed tablet ecosystem. With convertible Chromebooks now running the gamut from simpler $250 to $300 systems all the way up to Google's own $999+ top-of-the-line machine, the only real question — one Google has no doubt carefully considered — is why you'd possibly want a traditional Android tablet when you could have a system that runs all the same apps in a more versatile, secure, and productivity-friendly environment. Google has effectively leapfrogged its own old form and created a superior alternative — and, in doing so, addressed Android's biggest pain points by seizing total control of the software and user experience. (Wait, why does that sound familiar? Oh...right. Mmhmm.) And now, the company's ultimate goal seems clearer and closer than ever. Mark my words: Chromebooks are the future. Traditional tablets are the past. And no matter how you look at it, that's a very good thing — both for Google and for us as users.